What is an IME and why is the Insurance Company sending me? 1. The doctor they choose must be an actual doctor with an M.D. or D.O. Sometimes insurance companies will try to send you to a psychologist or physical therapist (P.T.) for an IME. 2. Often there is nothing independent about the doctor they select. 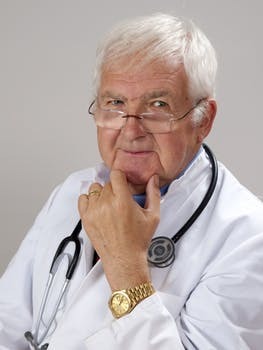 Usually, it is a doctor who routinely does examinations for the insurance company and provides them with opinions that they like. 3. The general rules are that you should not have to travel more than 100 miles to attend an IME and should be provided with at least 30 days notice of the appointment. 4. If you choose not to attend the IME appointment, then the insurance company can suspend your weekly workers' compensation checks until you attend the appointment. a. You will likely be watched from the minute you exit your car in the parking lot until you leave the property. So do not act differently during the examination then you did when you arrived, waited in the waiting room, etc. b. The doctor is not your friend and you need to be careful about what you say. It is not the time to make “wise-cracks”; say negative things about the insurance company, your employer, the defense attorney, your doctors or anyone else for that matter; or exaggerate your symptoms. For example, if you tell the doctor that you can only sit for 5 minutes at a time, then you better be standing up every 5 minutes or they will record this as being inconsistent with what you said. The doctor will write down in his/her report what you tell them, so be honest and stay with the facts. c. You should try hard and give a full and honest effort in the tests. There are a number of tests that the doctor will do that will determine if you are giving full effort. When the issue of pain comes up, make sure you keep in mind that you should not exaggerate your pain and if asked about your pain on a scale of 1 to 10 with 10 being the worst pain imaginable be realistic and do not tell the doctor that your pain is 10 or higher on a scale of 1 to 10. These are just some of the tips we provide to our clients, along with a detailed consultation to prepare them for the insurance company IME. If the insurance company has scheduled you for an "independent" medical examination, contact us online or feel free to give us a call at 888-435-9886 and we can give you more information about the process, the doctor they have chosen and what to expect.